← Why Don’t You Get A Job? You make what & you’re in debt?!? Someone Slap Me! I have never been more wrong in my life. I was seriously convinced that having lots of money would solve problems. I am also once again disappointed to realize that the celebrities that appear on my tube are sadly just regular people like you or I.
Bummer! I am being stupidly sarcastic! Stupidly! Nicolas Cage is one of the biggest disappointments. This actor is one of the highest paid actors. He brings in a good 20 million for each movie he makes. Someone slap me! I think I just swallowed my gum! Do you know how stupid that is? I am too exasperated to explain how ridiculous that is. The president doesn’t even make that much. Wait does he? Ok I checked. The president who is running our entire country and has the magic button to blow up countries doesn’t even make a million in a year. Yet this Academy award-winning actor who is really overpaid (he was awesome in Face Off) has lost not one but two homes to foreclosure! Ok, now I definitely need to be slapped! In November 2009, Cage lost two New Orleans homes — one in the French Quarter, the other in the Garden District — worth a combined $6.8 million, according to a CNNMoney.com report. Cage was behind $5.5 million in mortgage payments and he owed $151,730 in property taxes to the city of New Orleans. But how? 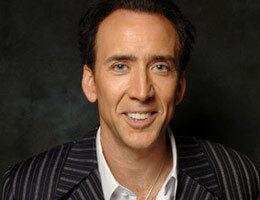 Cage was pulling at least 20 million a movie! What is he spending his money on? He obviously is not paying bills, that’s for sure. Another celeb not using his earnings to pay bills was Wesley Snipes. Where is he now? Well, actually jail. 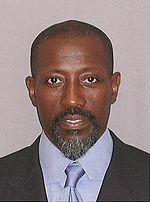 Snipes is currently serving a prison sentence for misdemeanor failure to file U.S. federal income tax returns. And it’s not like he did not have money to pay his taxes. He was convicted of “willful failure to pay taxes”. Not only that, Wesley Snipes commands 10 million per film. I am just absolutely baffled. Wesley had to go to jail to realize that you just gotta pay your like everyone else. Michael Jackson, Toni Braxton, Willie Nelson, George Foreman are a few people that are now broke. What is the deal? And what about me, who in my life will never ever see a million dollars? How the hell am I doing it with my measly quite hilarious joke of a salary? I just can’t imagine how someone can have so much money and still find themselves in the hole! If I ever find my self with millions of dollars, I promise to live up to the hype and lose it all in a year! 5 Responses to You make what & you’re in debt?!? Someone Slap Me! Holy Crap Batman! For real? Damn…..Ok so first and most importantly, do you need the heimlich maneuver? CPR? I would have swallowed my gum had by chewing some. I have to say that I am not just dissapointed, but heart-broken. I mean, I put full faith in these people that they will live up to my expectations and have huge mansions, beautiful cars and look spectatcular. How else am I suppose to live vicariously through them? How the hell do you make $20 million a film and lose two homes? Is that even possible? Right … I am sick of these celebrities raising the bar! I fear I shall never catch up. Damnit I haven’t even done my time in a rehab to addiction to pain killers yet! For real yo? You got a lot of catching up to do- fo sho! Actors and jocks making millions..the president makes not even half a mil. Ridiculous. And then they go broke..wtf! I think they need to send me some of their money and I will “save it for them”. Or spend it for them. What ever works.